Hey everyone! Today I'm showing you some items I recently bought for Spring. The weather has been very nice in Belgium with lots of sunshine and pleasant temperatures so I've been preparing my wardrobe for warmer days! In this first part of my haul I'm showing you all the things I bought while I was in Budapest. The prices were a bit cheaper than in Belgium so, of course, I needed to take advantage of it! First off I'm showing you three pieces from Tally Weijl. I didn't know the brand before my trip but I fell in love with it! Very fun fashion at killer prices. I was looking for shirts with lace before I left but couldn't find anything I liked. In this shop literally almost everything had lace on it, I picked out three of my favorites! This New York shirt came in white, pink and yellow. Since I just bought a pink and white top I decided to go for the yellow. I love wearing it with white pants and white converse shoes! A plain grey T-shirt dress from H&M, can serve great as a basic for any outfit. Love the details on the shoulders on this Vero Moda cardigan. I also didn't have this blue color in my wardrobe, but really liked it since it goes with a lot of colors. I picked up these sandals with rhinestones since I love sandals like this. I buy this type of shoe every year over again. These were only €24,00 a pair, so I bought them in black and white. But I am giving one pair to my sister, she'll get to decide which ones she wants! Bracelets at Bijou Brigitte each was about €6,00. 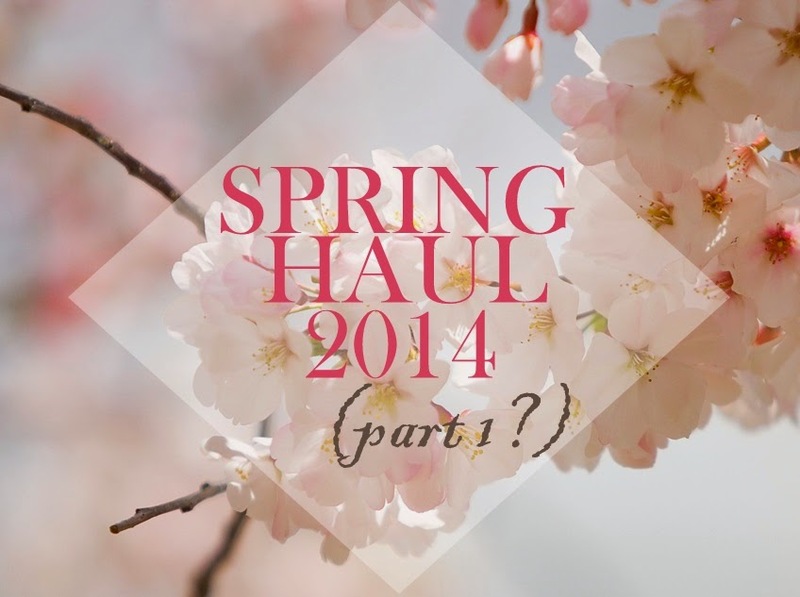 I have done some shopping in Belgium as well, so keep on the lookout for the second part of my Spring haul!